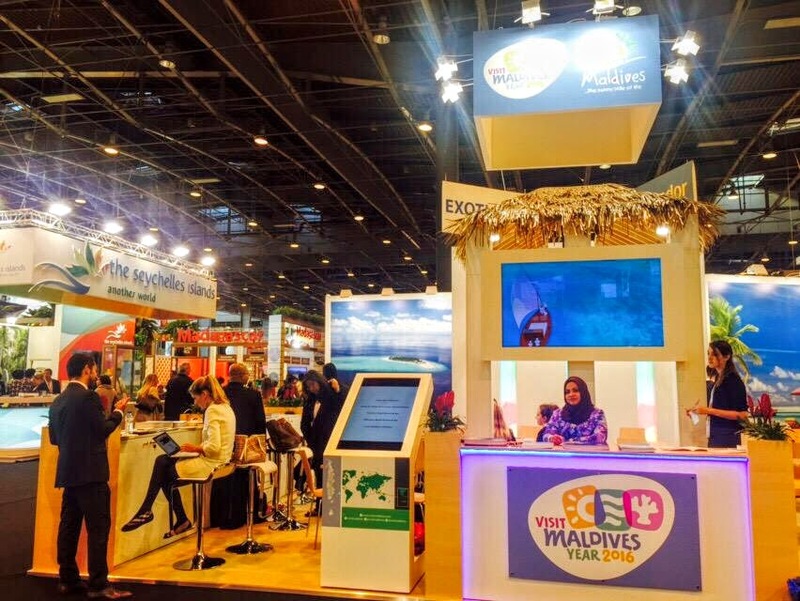 The Maldives Marketing and Public Relations Corporation (MMPRC) together with 20 representatives from the tourism industry of Maldives are taking part at the International French travel Market (IFTM) Top Resa held in Paris, France from 29th September to 2nd October 2015. Representatives of MMPRC together with the industry participants will be reaching out to the French speaking market at IFTM Top Resa 2015. Maldives will be showcased at a 60Sqm contemporary design setting portraying colourful imagery of the unique aspects of the destination’s tourism product. Together with the strong destination brand message, “Maldives…the sunny side of life”, the “Visit Maldives Year 2016” are being communicated prominently through branding on Top Resa’s most prominent spaces such as 50ft banner at the entrance, sponsorship of floor tiles and corridor letters at the exhibition area. Furthermore, increased PR messages are being communicated to the travel trade and media prior to and during the fair, to maintain the destination’s rapport. Mr. Abdulla Ziyath, Managing Director of MMPRC gave interviews to travel trade media and informed about the new developments in destination tourism and the Visit Maldives Year 2016, inviting the French to visit the Maldives. This is the 37th year of Top Resa and it was first held in Deauville in 1978. It was then targeted for the leisure travellers. In 2008, IFTM Top Resa moved to Paris and became a multi-target show covering all grounds of travel: business, leisure and events. Today, major players in the leisure travel, event management and business travel gather to share and learn through the impressive range of destinations present, and discovering new products and exhibitors of the latest technological solutions sector. A total of 1,216 new and returning brands occupying 365 stands took part in IFTM TOP RESA 2014 which is a 5% increase compared to 2013. 160 destinations took part in Top Resa 2014, a trade event attended mainly by French tour operators. French market has experienced a downfall in the past three years, by taking part in this fair it is aimed to revive and regain the market share. This year’s marketing plan for the French speaking market have been strategized to strengthen the destination’s presence in the market and aggressively market Maldives through extensive PR and marketing campaigns targeting the French travel trade and consumers. Whilst positively increasing the arrivals from France, these campaigns will help the destination reach its targets in 2015 and in turn help achieve the target of 1.5 visitors during the Visit Maldives Year 2016. A total of 50,656 tourist arrived in the year 2014. 27,274 arrivals were recorded from France by the end of July 2015. France is among the top 10 generating markets to the Maldives with a 3.8% of the market share, by the end of this period. 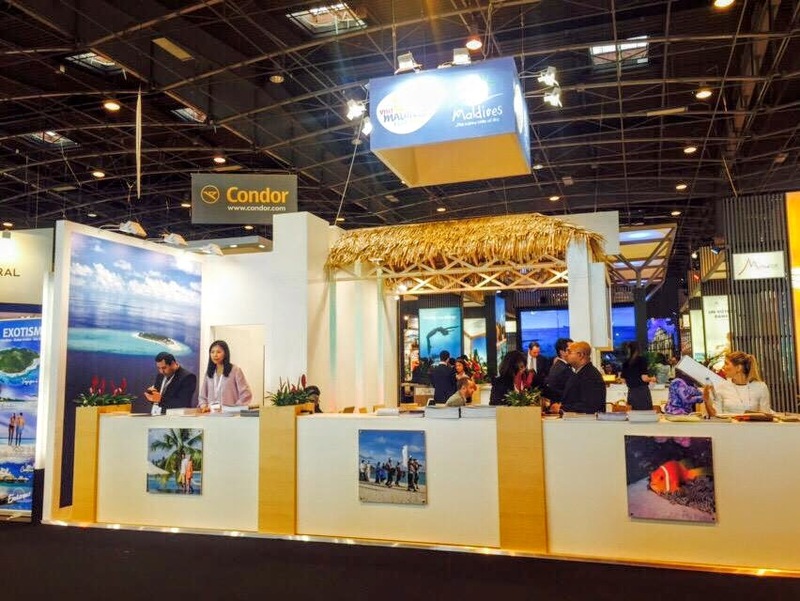 Visit us at the Maldives Pavilion 1, Stand V035 at IFTM Top Resa 2015, Port de Versailles, Paris, France.